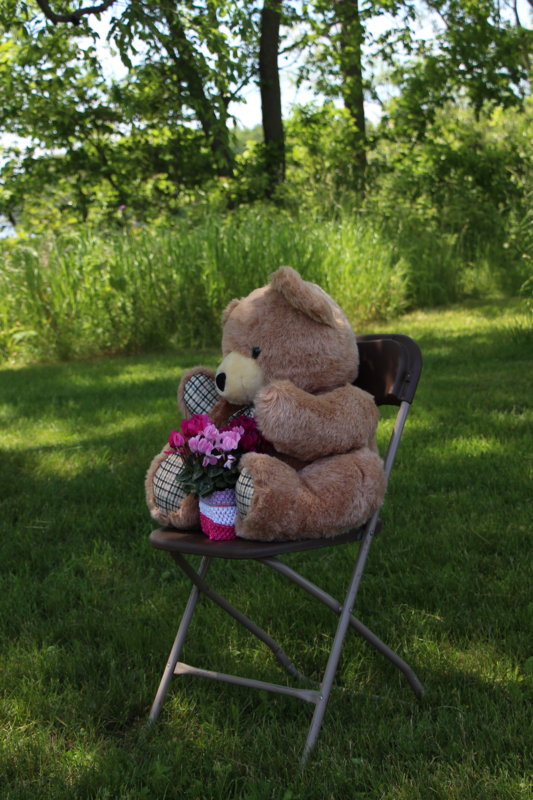 My son-in-law, Shane, took a picture of the teddy bear with flowers from Ben’s wedding. This entry was tagged family, Grandma, teddy bear, wedding. Bookmark the permalink.